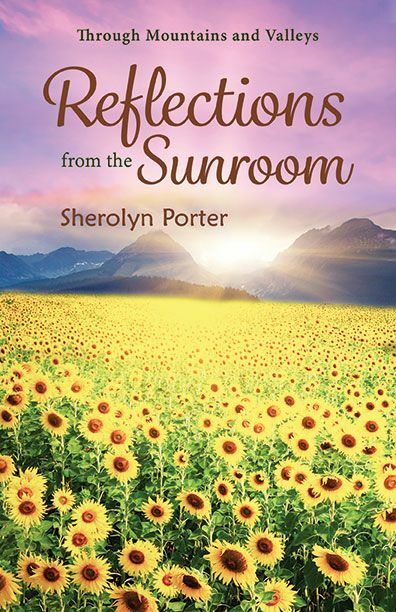 An uplifting devotional that connects with heart, sensitivity, and inspiration. LIVONIA, Mich. - Jan. 10, 2019 - PRLog -- In her new devotional Through Mountains and Valleys, Sherolyn Porter shares her personal stories and experiences with God as he makes Himself known in the midst of "life as usual," revealing the tenderness of His loving grace, His encouragement to persist when we don't feel like we can, and the absolute truth that we all matter in His "grand scheme of things." When we open our eyes to see Him, the ordinary will become most extraordinary. Through Mountains and Valleys is available worldwide in trade softcover (978-1-947727-74-8, 368 pages, $16.95), and ebook (978-1-948540-28-5, $7.99, PDF, mobi, epub) at all major booksellers. Order direct from Ingram, OverDrive, or publisher. Sherolyn Porter lives with her husband Al and their two dogs, Macy and Bailey in Marietta, Ohio. They reside on the outskirts of town in an old colonial home overlooking woods and peaceful meadows. She loves to spend time with her family, which has recently doubled in size, due to the recent marriages of her three children. Her now-empty nest gives her time to do other things she enjoys: Bible study, writing, quilting with her mother, and long drives through the country with her husband. They also enjoy trips to the beloved mountains of Tennessee. Get Ready to be Transported Back Into the Books on Blinney Lane!